I love the art form of comics. That combination of words and pictures in order to make a point, tell a story and, hopefully, entertain readers. Comics are one of the most personal art forms out there. Originally uniquely American, brash, “crusty”, bold and opinionated, at least the good ones are. Comics as an art form started out as exaggerated editorial drawings, made more “cartoony” to emphasize a political point or agenda. That drawing of the politician you hate makes a point but turning that politician into a fat pig-man REALLY drove the point home. High salaries come with imitation, so a LOT of his competing artists began to develop their own icons, that with repeated recognition, would get them paid the big bucks too. Soon, you started seeing all these different icons springing up, like Uncle Sam, and it didn’t take long for folks to figure out that if you put two panels next to each other that there is a movement in time. 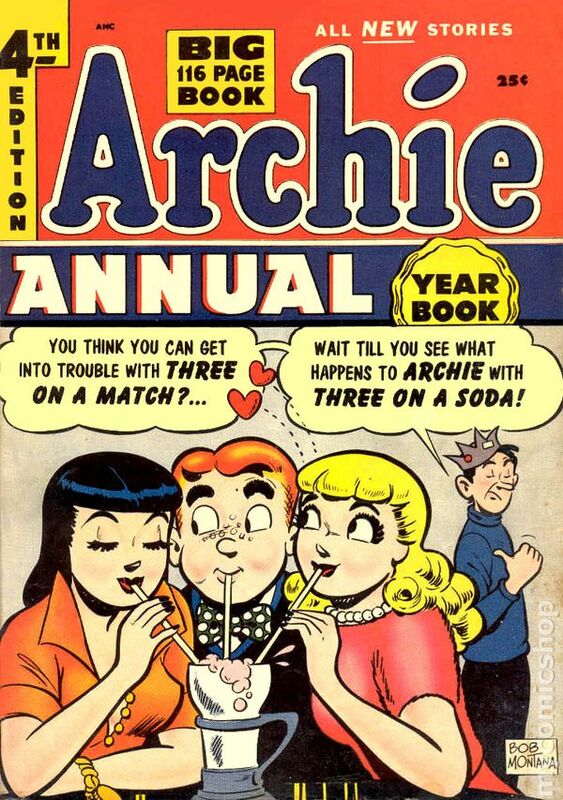 Two became four and soon you had a comic strip. Captain America was created before America got into World War II and he HATED Nazis! 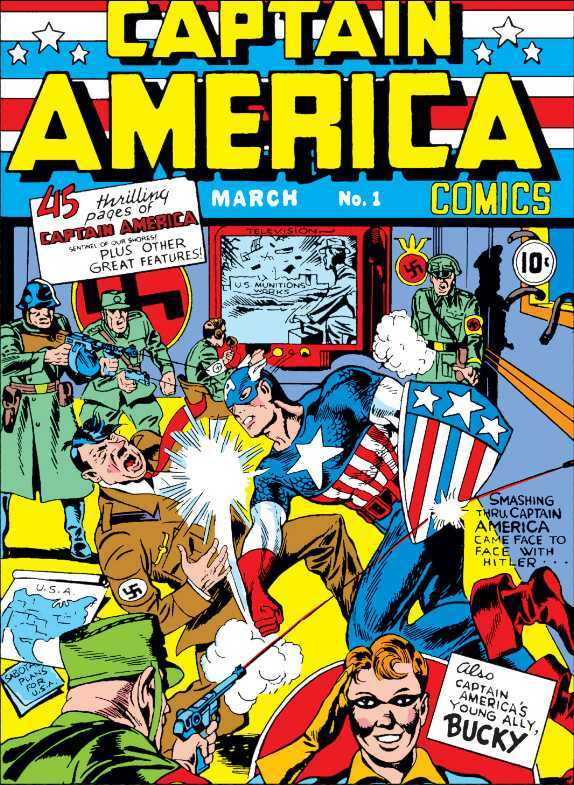 In fact on the cover of Captain America #1 he’s beating the crap out of Hitler. And that caused a HUGE stink for those that were backing the Nazis here in America before we got involved in World War II. Once we did get involved in World War II almost every comic character was fighting the Nazis. If they weren’t, then your primary villains back then were Asian, like Ming in Flash Gordon or The Yellow Claw, mainly because they were foreign, and if they were “foreign” they must be “evil”. 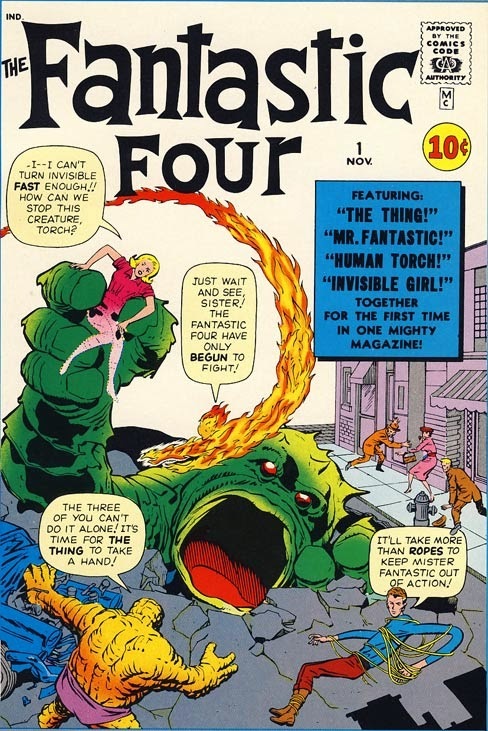 In the early 60’s you had the Fantastic Four, also the prime example of family life only now dysfunctional and under an evil “Cold War”. These villains were Russians or strange Europeans who wanted to take away our American way of life, or weird aliens who wanted to imitate us or somehow infringe on our happiness. Later on, we got into the mysteries of the “cosmic people” trying to get to know what “humanity” was like and those strange Africans and those wild Inhumans… but you get the idea. Even the X-Men really didn’t take off until they became propaganda. With a diverse cast, and the alienation of being different driven home with examples of prejudice and segregation. Plus, I could take up whole columns about Superman, Batman, and Wonder Woman and what they mean. I’m sure that will come later. Often overlooked, and I’m sure the subject of many more columns to come was that underground movement where you had mostly individual artists, who didn’t quite fit the norm of the mainstream comics of the day, and free of the restrictive Comics Code Authority, with a more intimate and personal agenda, like free love and drug use, and urban blight. 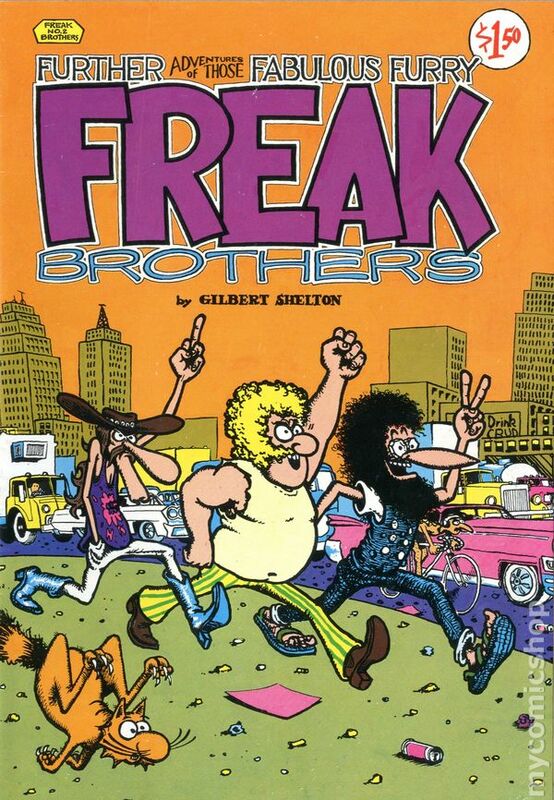 Very few people today remember the Fabulous Furry Freak Brothers, as well as many other creations during that time. It was a truly unique time in comics, where ARTISTS really started coming into their own, creating comics as a personal art form with a personal message, of course, that was quickly squashed. We bounce up to the eighties where the mainstream is slipping again into the realm of the “Direct Market” and you see an entire boom in black and white comics, all with their own opinion and propaganda. Barbarian aardvarks, fantasy worlds, science fiction stories, weird superheroes, all in glorious black-and-white. And that too was quickly squashed as the mainstream decided to embrace their own “independence” and Image Comics and Dark Horse Comics were born. And even though most of the Comics nowadays are like little cogs in a larger corporate wheel, you still have those folks doing their own personal web strips or their own self-published comics that have their own agenda, their own propaganda, you just need to look around to see them. Just take a look at the graphic novel section in your local bookstore (if you have one anymore). There’s a lot of individual voices there, all with their own stories and opinions. And slowly but surely the mainstream, which has become such a small, small market, are starting to embrace their own diversity and individuality though not with a personal voice but with a more open corporate voice, geared at funneling as much money down the corporate chute as possible, appealing to the widest base they can find. Still propaganda, still kind of comics. So maybe you should be picking up your favorite comics and REALLY looking at the message and go beyond that basic frosting of entertainment. You might be surprised, and perhaps even not agree, with the propaganda that’s there. Happy reading, and thanks for being here! For more than four decades Randy Zimmerman has lived and breathed every aspect of sequential art and independent comics that you could imagine. From fan to retailer, to producer, instructor, and publisher, Randy has held just about every job this industry has. 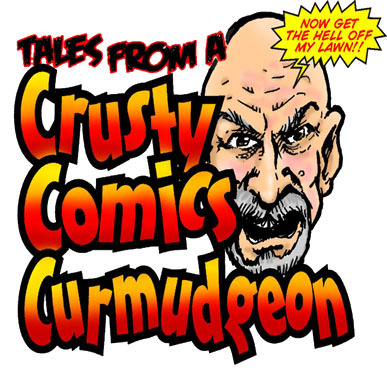 He currently produces Flint Comics & Entertainment, a local Comics & Entertainment paper with a 10,000 monthly circulation in the Genesee County Michigan area. And has recently released collections of his Hero Bot Zero and LindyJax characters, both of which he considers to be pure metaphorical propaganda.